Waller County DA: Bland's Death Won't Be "Swept Under the Rug"
As Waller County authorities vowed on Friday to conduct a thorough investigation into the death of Sandra Bland, who was found hanged at the county jail, the Texas Department of Public Safety moved forward on a separate inquiry into how arrest procedures were violated in the case. 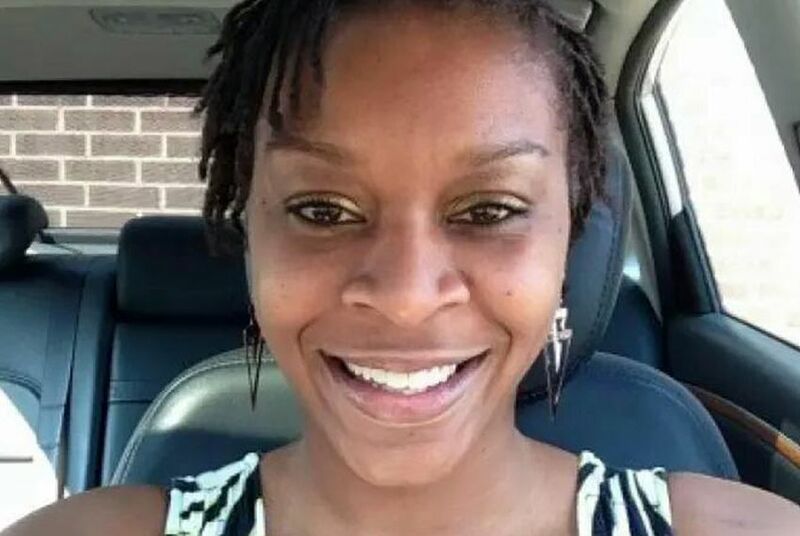 Sandra Bland, who was found dead at the Waller County Jail in 2015. HEMPSTEAD — As Waller County authorities vowed on Friday to conduct a thorough investigation into the death of Sandra Bland, who was found hanged at the county jail, the Texas Department of Public Safety moved forward on a separate inquiry into how arrest procedures were violated in the case. "The death of Ms. Sandra Bland will not be swept under the rug," Waller County District Attorney Elton Mathis said at a news conference at the Waller County Courthouse. "There will be no one who is protected — if they need protecting. It will be an open and honest investigation and the truth will come out." Bland, 28, was pulled over July 10 in Prairie View by a DPS trooper — identified as Brian Encinia by the DPS — for an improper lane change and arrested on a charge of assault on a public servant. She was taken to the Waller County Jail, where she was found dead three days later, hanged from a partition in her cell with a trash bag used as a ligature. Authorities initially said the death was a suicide. Friends, family and millions on social media have raised questions about whether that's true after a bystander posted a partial video of her arrest in Prairie View, about 50 miles northwest of Houston. The Texas Rangers, an investigative arm of the DPS, are investigating the death. The DPS has also asked for the Federal Bureau of Investigation’s assistance. Late Friday afternoon, DPS issued a terse statement announcing that after a preliminary review of the traffic stop, the agency had found "violations" of the agency's traffic stop policy. "Pending the outcome of the Texas Ranger and FBI investigation into this incident, the employee involved has been assigned administrative duties," the agency said in a statement. "At the conclusion of this investigation, any violations of protocols will be addressed." The announcement came just hours after Waller County officials walked a careful public relations path during a mid-afternoon news conference, promising a rigorous investigation into Bland's death. The district attorney said that dashboard video from her July 10 arrest and surveillance video from the jail will be released "relatively soon." "We have asked the FBI to thoroughly examine the videos to confirm that they have not been tampered with or changed in any way before they are made public," he said. In the online video of Bland’s arrest, she is seen saying that she was slammed to the ground. As she is being escorted to the patrol car, Bland can be heard thanking the bystander who she sees is filming. She was taken to the jail on an arrest charge of assault on a public servant. A DPS spokesman told the Houston Chronicle that she kicked the trooper. The agency would not discuss that statement on Friday. Mathis said that Bland was alone in her jail cell when she died. He was joined at Friday's news conference by local leaders and state Sen. Lois Kolkhorst, R-Brenham. Kolkhorst reiterated plans for an open and thorough investigation. "We have nothing to hide here in Waller County, and we want to get to the truth and to the bottom of this situation," she said. Mathis said that Bland was "checked out" by emergency medical personnel before she was transported to the jail. He acknowledged, though, that jail staff didn't seem to follow proper procedures, specifically that a jailer needs to personally view inmates at least once an hour. "Information that I have received from the sheriff is that she was talked to through the intercom system, but she was not physically seen," he said. On Thursday, the Texas Commission on Jail Standards issued a notice to the Waller County Jail that it had violated minimum jail standards in two areas: providing staff training as it pertains to providing health services to inmates and rules regarding the observation of inmates once they are detained. The commission reviewed the jail's logs and other documents following Bland's death and found two violations. "Anytime there is a death in jail custody, we investigate to determine if there were violations of minimum jail standards," said Brandon Wood, executive director of the commission. First, it found that the jail didn’t provide proper training to staff about providing health services, including mental health services, to inmates. It also found that the jail violated its own standards that require deputies to check on inmates every hour. They did not do that in this case, the commission found. The commission sent notice of the violations to the county by certified mail on Thursday. The notices won’t be released to the public until Monday, officials said. Mathis declined to comment on those issues Friday. "Those might be questions that you would want to ask the sheriff," he said. "And he is not here right now." Attention to Bland's case comes after months of outrage in the black community about treatment of black people by police. Protests in Baltimore, New York City, Cleveland and Ferguson, Mo., have all gained national attention. Outcry was growing Friday at Prairie View A&M University, where Bland was a student. A school spokeswoman said Friday that Bland, a resident of the Chicago suburb of Naperville, was going to start a four-week assignment at Prairie View's Cooperative Extension Program. The traditionally black school has long had a tenuous relationship with its surrounding rural community. Black community leaders have often complained about how they are treated by local law enforcement. And voting rights have been an issue there for decades. In 1979, the U.S. Supreme Court ordered the county's voter registrar to stop using a questionnaire designed to determine who was eligible to vote locally. The questionnaire essentially blocked the black students from registering to vote in the county, and the court's action essentially ensured that college students across the country could register to vote in the county of their school. For years after that, the county repeatedly refused to open a polling place on the school's campus, even though it has more than 8,000 students. That changed in 2013. "This has been a running, ongoing, never-can-stop situation," said DeWayne Charleston, a local black community leader. Charleston was an elected justice of the peace last decade, but was convicted of federal conspiracy charges after an FBI investigation. Student leaders protested outside the jail Friday afternoon. An on-campus candlelight vigil is planned for Sunday. In a statement released late Thursday night, Prairie View President George C. Wright said the university community is mourning Bland's death and its "alleged circumstances." "We, along with the administrators from the Texas A&M University System, extend our heartfelt sympathy to Ms. Bland's family and friends," Wright said. "We know that when all is said and done and everyone leaves town, it will all be back to normal again." According to the school's statement, Bland is a 2009 graduate of the school's College of Agriculture. She was a member of the Sigma Gamma Rho sorority, which released a statement expressing "sincere condolences to the family." The sorority asked members to avoid from posting on social media about the case and not participate in any protests or marches, saying that's what Bland's family requested. "This is an ongoing investigation and while we would like answers quickly, we understand that it may take time to get them," said the statement, released by the sorority's national organization. "We are anxious because we know that every family deserves answers when a situation results in the death of a loved one. We will respect the wishes of the family and take no action at this time." It's unclear how long the investigation into Bland's death will last. Mathis said he plans to take evidence to a grand jury, but those juries only meet in Waller County once per month.